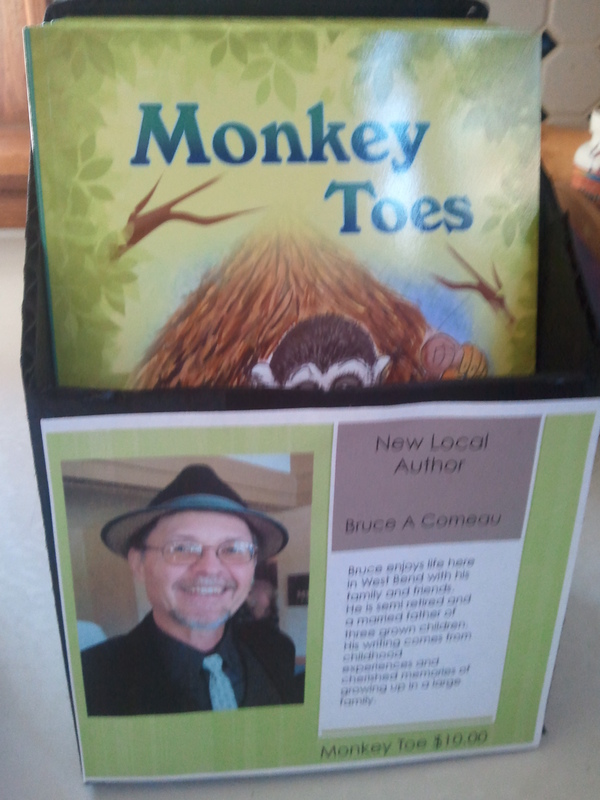 I have been given a great opportunity to sell Monkey Toes within my city limits. I want to thank Inspired For You, a multi business store made up of talented individuals that bring ideas to life. These people have been adopted by Stacy Tuescher and they are getting a make over and revamping to move forward in sales. And in a sense, so am I.
I am really excited to see this establishment grow and prosper in the year ahead. First will be the weekly Farmer’s Market, then the city festivals like Seafood Fest, German Fest and the Ziegler Jazz Fest as well as everyday in between. So if you are in the area, please stop in at the corner of Walnut and Main Street in West Bend WI. Enter your email address to follow this blog and receive updates of new posts by email.